Secrets About Hypnosis, Details, Examples, Session Examples, Tips, Secrets About Induction, Secrets About Tests, How To Use Hypnosis Safely And More. 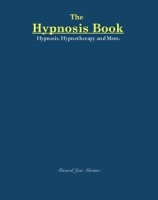 In The Second Part Of The Book You Have : The 50 Questions And Answers About Hypnosis. With A Lot Of Information That Will Give You A Powerful Knowledge About Hypnosis Hypnotherapy And More. I Want You To Learn Hypnosis !